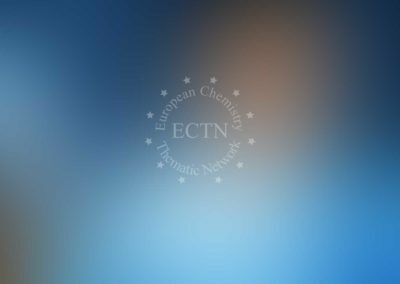 The European Chemistry Thematic Network is a network of over 130 chemistry departments from all Member States of the European Union, Norway, Iceland, Switzerland, Bulgaria, Romania. It was founded in September 1996 and is funded by the European Commission as part of the SOCRATES / ERASMUS programme. to help provide Europe with more, and better trained, chemists. to play a full part in the second phase of the “Tuning Educational Structures in Europe” project, for which the main objectives are to develop further approaches regarding teaching, learning, assessment and performance and to link up the outcomes with quality assurance; to refine the methodology for measuring student workload; to test ECTS as a tool for curriculum design in chemistry. to determine the feasibility of creating an ECTS-based common framework for second-cycle degrees in specific areas of chemistry. to increase the interest in and understanding of science amongst schoolchildren by assessing the impact of current practices in links between schools and higher education establishments, and identifying and disseminating good practices and materials in this area. to identify best practices in student evaluation of university teachers. “Chemistry in the European Higher Education Area” project. The fourth European Chemistry Thematic Network project ‘ECTN-4: Chemistry in the European Higher Education Area’ aims to bring together all actors in the chemistry sector to enhance the employability of chemistry graduates at all levels but particularly at the first cycle level; to enhance the professional/generic skills of doctoral level students; to report on and evaluate innovative teaching methods; to develop a European qualifications framework for the chemistry sector; to identify best practices in the creation of study programmes combining chemistry and chemical technology; to create an Internet–based test in biological chemistry; to develop links with other networks, for example through participation in the organisation of the archipelago of science and technical thematic networks and organising a joint summer school with a chemistry research network; to enhance the value of previous Leonardo and Socrates projects involving chemistry; to continue full participation as a core subject area in the Tuning project; and to enhance the public image of chemistry. The project is targeted at all actors in higher education in chemistry in Europe (students, teachers, the chemical industry and workers in that industry, and professional organisations). A study of the employment of chemistry first cycle degree holders, with conclusions drawn for chemical education policies. A report on best practices on employability enhancement in chemistry programmes at all levels. A website for university and industrial placement opportunities for chemists. Internet-based tests in biological chemistry. A report on innovative teaching of chemistry. The development of the website for improving the image of chemistry. The report on best practices in chemistry and chemical technology programmes. A series of summer schools for students and recently appointed university teachers. Participation in the organisation of the TechnoTN forums for the archipelago of science and engineering thematic networks. Student-led workshops leading to reports on the benefits of mobility in chemistry and on the benefits of chemistry to the public. The formation of a group of Leonardo and Socrates project coordinators of chemistry projects in order to enhance the dissemination and valorisation of the projects. The organisation of a conference to disseminate, evaluate, and valorise the ECTN4 project.